How Microsoft could pay special attention to PC gamers with a distinct version of Windows. If there’s a future for the consumer version of Windows, it probably involves a lot of gaming. Microsoft CEO Satya Nadella suggested as much to industry analysts in January, calling out PC gaming is a key pillar of the company’s consumer strategy. But while Microsoft has already tried to boost PC gaming in Windows 10 with features like Game Mode, a free game recording tool, and DirectX 12, the company could go even further as it starts offering more specialized versions of Windows. We already know Microsoft will offer a stripped-down “S Mode” for Windows next year, and the company is also reportedly considering an “Advanced” version of Windows 10 Home with new features for higher-end hardware. Instead of being a one-size-fits-all operating system, Windows is becoming one that adapts to different uses. So here’s an idea: Instead of treating gaming as a mere feature of Windows, why not make it the primary focus in a gaming edition of Windows 10? Similar to how the “Pro” version of Windows offers extra security and device management features for business users, a Windows 10 Gaming Edition could offer features that only make sense for PC gamers. This version could cost a bit more than a standard version of Windows 10, but would also eliminate elements that gamers might not want. Here’s how it all could work. In this theoretical version of Windows, games would be faster to launch and easier to mange. Recent games and Xbox Live activity could appear directly on the Windows 10 lock screen for quick access. 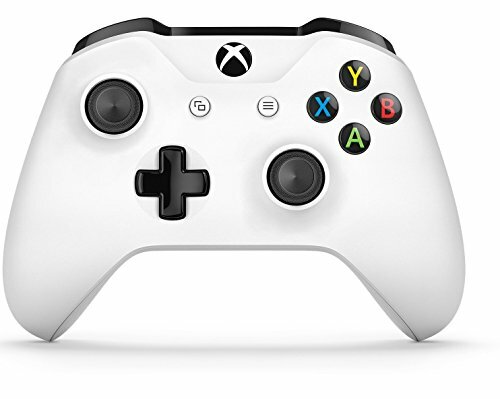 Microsoft could also greatly expand the Game Bar overlay that appears when you press Win-G or the center button on an Xbox controller. 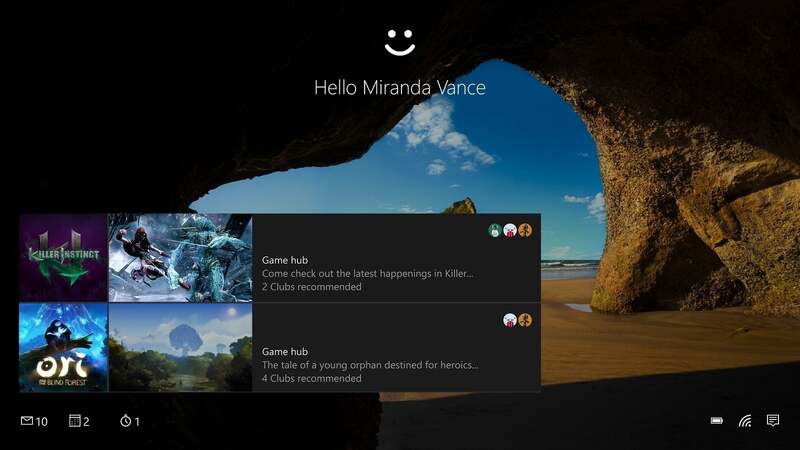 While the current Game Bar shows just a few screen capture and broadcast options, an expanded version would resembled the Xbox One Guide with recent games, friend activity, achievements, and messages. Who needs shortcuts to calendar appointments and email alerts when you could start playing games instead? 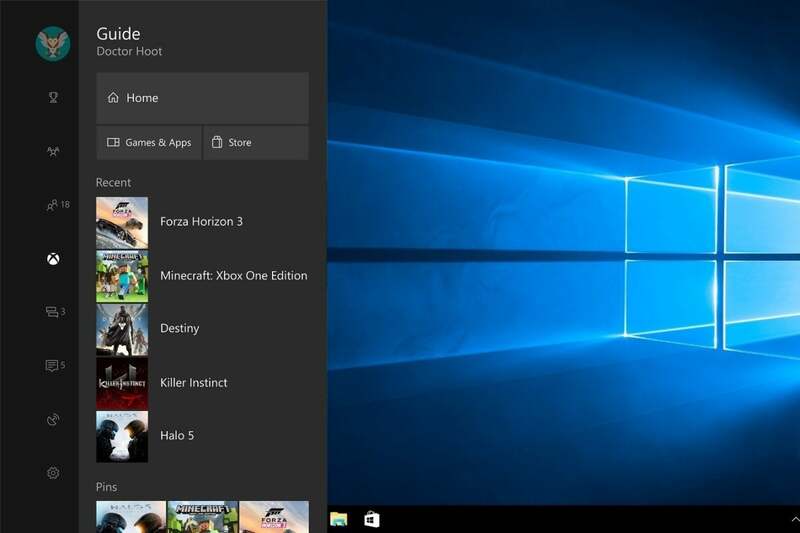 To go a step further, this version of Windows could offer a full-screen game launcher similar to the Xbox One home screen and Steam’s Big Picture Mode. This would allow users to launch games from any source—not just the Microsoft Store (formerly known as the Windows Store)—along with media apps such as Netflix, Hulu, and Spotify. 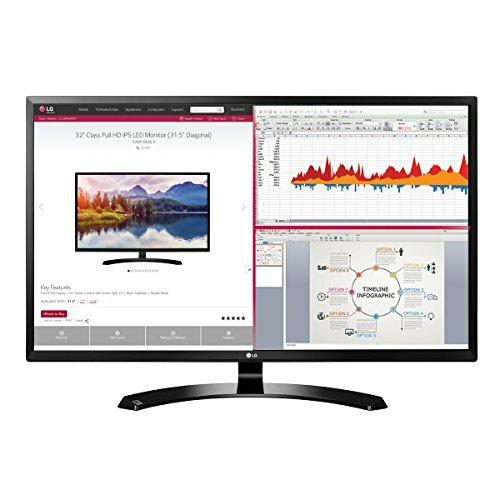 The entire interface would be optimized for both controller and mouse-and-keyboard input, allowing you to build a living room PC that’s more powerful and open than any Xbox console. Microsoft’s Game Mode already squeezes out modest performance gains by minimizing background processes and granting more CPU threads and GPU cycles to gaming. A Windows 10 gaming edition could adopt the "Ultimate Performance" mode coming to Windows 10 for Workstations in the future, and make further improvements by optimizing the PC’s software and hardware in other ways. The Ultimate Performance power plan. For starters, Microsoft could remove all of its own bloatware that takes up space and distracts from gaming. That means no more “Get Office” nags, pre-installed productivity apps like OneNote, bloatware like Candy Crush, or “Suggested Apps” like Flipboard. Perhaps a Windows 10 gaming edition could even offer some built-in overclocking and framerate monitoring tools. 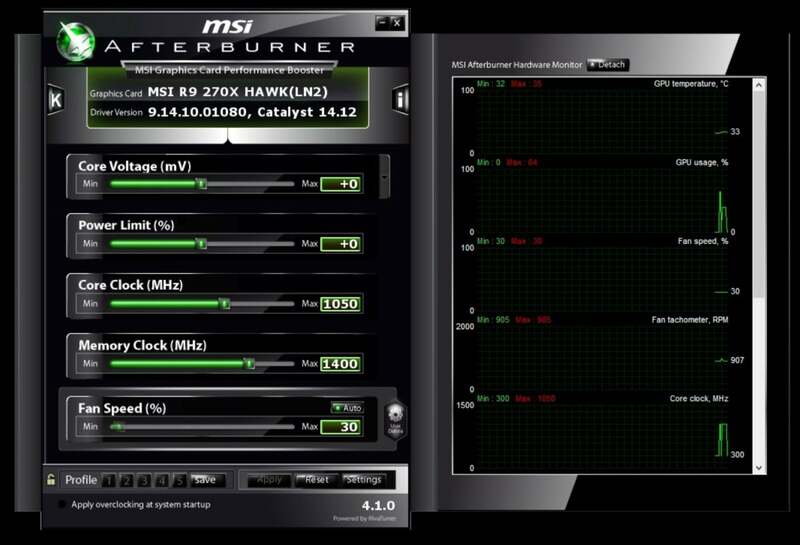 While third-party software already exists for these purposes—including the highly-regarded MSI Afterburner and Fraps—a Microsoft version could integrate with Game Mode to ensure that overclocking only occurs while gaming. Users could also tweak their settings through Microsoft’s existing game overlay menu instead of having to switch out to a separate app. Microsoft might even be able to suggest the best overclock settings for your machine, drawing on all the data the company has about PC setups and usage. MSI’s Afterburner is an invaluable tool for overclocking, but there’s room for Microsoft to offer something simpler. While most of the ideas above could apply to all games regardless of source, Microsoft is clearly trying to push its own Microsoft Store over other storefronts such as Steam, GOG, and Origin. The problem is that the Microsoft Store and Universal Windows Platform games still have all kinds of fundamental problems, including forced Xbox Live integration, no refund policy (despite some pilot testing last year), and no support for multiple graphics cards. But perhaps the biggest issue with the Windows Store is its lack of mod support. Although Microsoft hinted at a form of modding for Windows Store games back in 2016, the company has been quiet on the topic ever since. Ostensibly, the company is concerned that an anything-goes mod system would invite malware, and that the risks aren’t worth the potential rewards. A gaming edition of Windows 10 would be the perfect venue for casting those worries aside and creating a system for Windows Store mods. Even if it’s a limited system like Valve’s Steam Workshop, mod support in the Windows Store would help create some goodwill among PC gamers, while also making store exclusives like Halo Wars 2 ($40 on the Microsoft Store) and Gears of War 4 ($40 on the Microsoft Store) a lot more interesting. A managed system for mods like Steam Workshop would give Microsoft’s Windows Store more credibility. Granted, Microsoft could offer a lot of these features in Windows 10 without spinning them into a separate version, but at some point the company would just be creating unwanted bloat for the rest of its users. Besides, there are signs that the PC gaming business is still growing, even as the overall PC market declines. As Microsoft tries to make Windows 10 more adaptable with new versions and “Modes,” it’s about time PC gaming got some special attention.